At Calstate solar, we handle every aspect of your commercial installation. There is no standard system or installation for a commercial property, so every customer we have will receive the same amount of attention to detail. A commercial installation is very detailed, and there is a lot of consideration that goes into every customer we have. As you see below, you want to choose a company that not just sells to buildings, but understands how businesses work and can help you realize the financial goals that come with adding solar to your building. Every system needs to start off by being sized correctly. 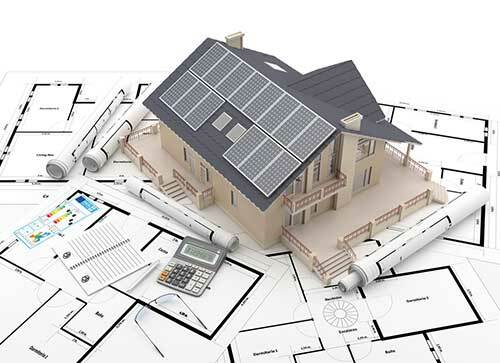 This requires us to meet with the owners and management of the building to build a strong understanding of the way the property uses electricity, what they require, and what times of the day require the most use. This will require a comprehensive scope of the property. We assess where the solar is best installed. We can install on the ground, on a carport, and on virtually any roof type – or build a new one. There is a lot to consider here though; we need to test the ground, see where we can run the electrical, we need to make sure the roof type can hold the new load, and consider traffic and parking around or under the new structure. Once we get an understanding of the goals of the property, we will study the last 12 – 24 months of electric usage to see the costs associated. We will meet back with the customer and explain the costs in the previous few years, and the forecasted costs with the utility inflation included. We are lucky enough to have a few great financing companies to work with and make available to our commercial customers. There are a lot of factors that play into the type of funding, how much, and how to get approved. We can also finance Non-Profit’s or use private equity partners. Every city is different in this regard, but we take each set of engineered plans to the perspective jurisdiction and work with them consistently to get plans approved for the permit and ready to build. Commercial solar installation is different for every customer. However, we will constantly be working hand in hand with the ownership and management to keep a clean, safe, and productive work environment. Scheduling and forecasting are paramount with commercial installation, and our customers find that the communication with CalState Solar is always positive and consistent.